I realized today that for the last few weeks I'd drunk almost exclusively pale ales (including IPA's) and lagers. I therefore had to rectify this as soon as possible and my favourite brewery, Nøgne Ø, came through with the perfect beer. The beer I'm reviewing was a collaboration between Nøgne Ø and Terrapin Brewery from the U.S. To start off with I sampled the normal Nøgne Ø Porter and thought I would compare it to the Imperial Rye Porter. The difference was absolutely amazing, and so I have scrapped that idea in favour of a single review of the Imperial Rye Porter, it deserves more than a simple comparison review! As expected a dark brown liquid poured from the bottle after the cap was popped. The head was quite large for the style but was littered with relatively large bubbles that made the head last considerably less time than could have been expected from a head this size, although there was good lacing left behind. It's a very nice looking porter. On the nose there are a number of really heavy dark beer flavours that would be expected. There are huge coffee and chocolate that are strangely subtle enough that they still allow other aromas to showcase themselves. As the beer warms there is an unusual smokey element to the smell as well as some dark fruits and spicy hops. It's quite possibly the best Porter nose I've ever come across, it's so simple yet complex at the same time! Much like the nose the flavour was very intense yet subtle at the same time. At first there are the expected roasted malts and coffee flavours before the beer is overtaken by a more complex side. There is some spiciness evident from the rye base in this beer as well as some good bitterness from hops that actually have a slightly grassy feel to them. The mouthfeel is beautifully weighted, not too heavy and nor too thin for the style, and leaves the mouth with a fantastic creamy warmth. Overall, I was really impressed with this Porter. 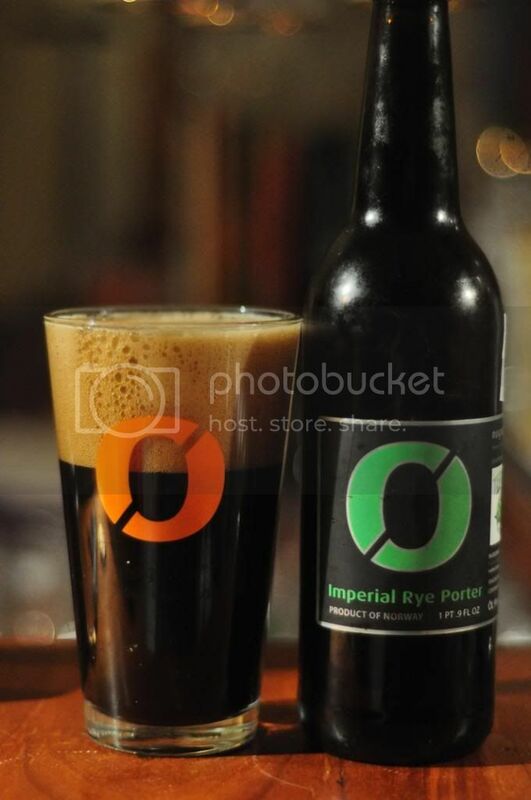 The style is I think the easiest to make a drinkable beer but one of the hardest to make a really sensational beer; this Imperial Rye Porter certainly is that! I thought their normal Porter was a really excellent example of the style but this is even better. The nose, the flavour and the mouthfeel combine to create quite possibly the best Porter I've ever had! If you love Porter's you have to try this one!